When it comes to books about Porsche, the numbers written about the company, its racing history, the venerable 911, and all its variants, are almost immeasurable. That's not the case, however, when it comes to the Boxster and Cayman. Sure, you have the basics we've come to expect with any model like Adrian Streather's "Buyer's Guides" and Wayne Dempsey's "101 Projects" along with Bentley's alway excellent service manual. 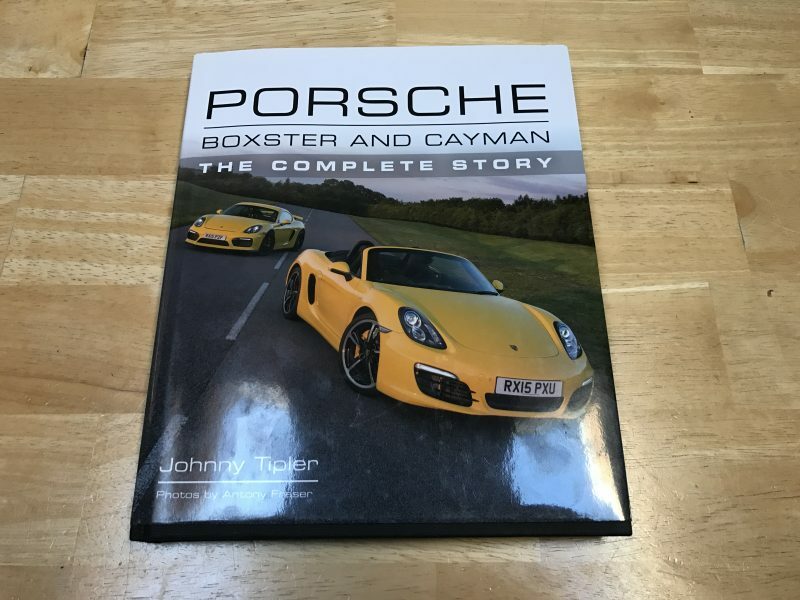 What's been missing, until now that is, is some type of complete history that documents the Boxster and Cayman models from introduction through to today's latest models including the 718 platform and GT4. 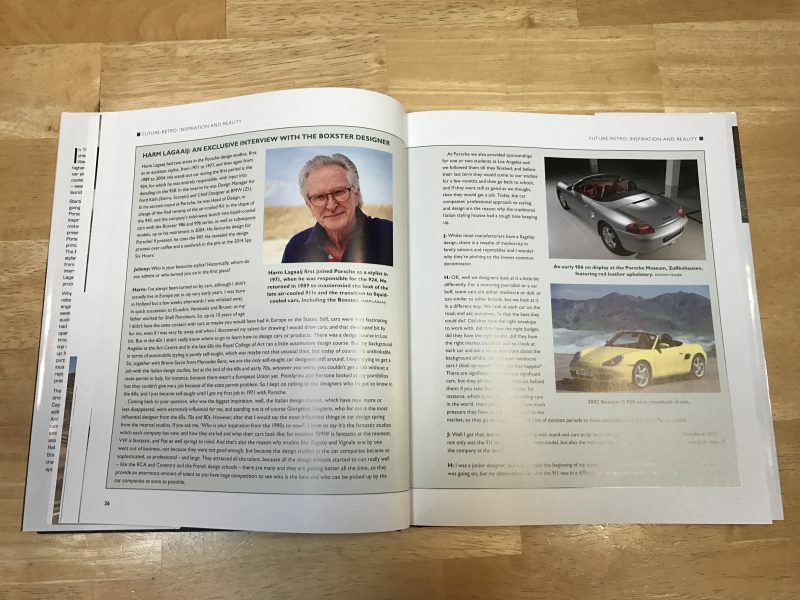 At 192 pages, the book's author Johnny Tipler - a freelance journalist, car historian, author and regular contributor to 911 & Porsche World, Classic Porsche, Total 911 and other Porsche magazines - has documented a full history of Porsche's mid-engine models. Set in chronological order, the books starts with a brief history of the Porsche's troubled times in the early '90s that many of us know well (but a refresh is always nice) and moves quickly to the introduction of the Boxster Prototype at the Detroit Motor Show in 1993. From there, the details start and the pace picks up. Porsche Boxster and Cayman - The Complete Story is filled with "Easter Eggs" like this interview with Harm Lagaaij, Porsche's Head of Design during the development of the Boxster. 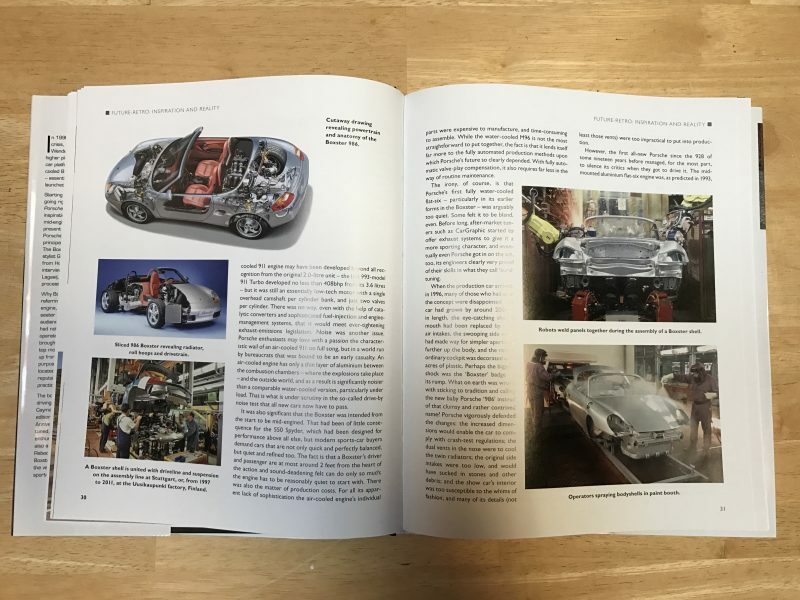 11 Chapters cover everything from the inspiration of the Boxster through to the design, development and continued evolution of each mid-engined model including the 986, 987, 981 and 718 series. Each page is replete with original and archival photographs with details and captions to keep any enthusiast or owner engrossed for hours. For those that want to delve deep into the Porsche's recent mid-engine production models, Porsche Boxster and Cayman - The Complete Story is the book for you. Available on Amazon.com from $33.65. Thanks so much for a great review!